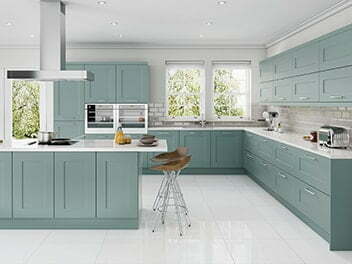 Our range of Handleless kitchens start from as little as £2,750 fitted. 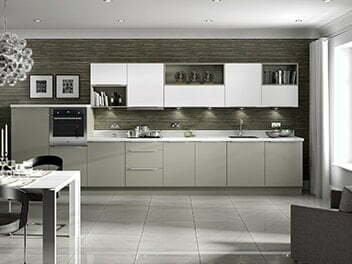 At Direct Kitchens, we offer a wide range of handleless kitchens, available in both matt and high gloss finishes. Whether you’re after striking shine, or something more minimal, we can create a bespoke kitchen tailored to your preferences. A handleless kitchen creates an elegant, sleek and streamlined effect that’s extremely practical, durable and easy to clean. 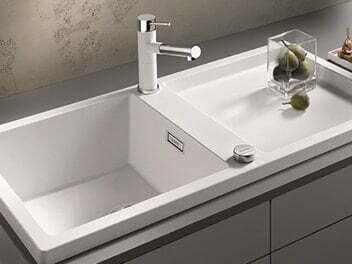 The design also forms the illusion of more space due to the seamless flow of units. Why not take a look around our Sheffield showroom to see some of our designs in action? For a polished and luxurious finish, opt for a high gloss handleless kitchen that will complement a stunning modern design and really make your cabinets stand out. If simplicity is more your style, choose a matt handleless kitchen that will appear sleek, clean and uncluttered. No matter what finish you choose, each design is available in a variety of colours to help you create your perfect kitchen. For some added inspiration, why not check out our social media? We regularly share customer images of completed kitchens for our followers to see our past work and get some ideas for their own home improvement project. When it comes to those all-important finishing touches, Direct Kitchens offer a host of appliances from well-known manufacturers including NEFF, Bosch, Belling and more, and have everything from integrated cooker hobs to hot taps and stunning wine fridges. We also guarantee to beat any like for like quote on appliances, to make sure you receive the best price available. As a Which? 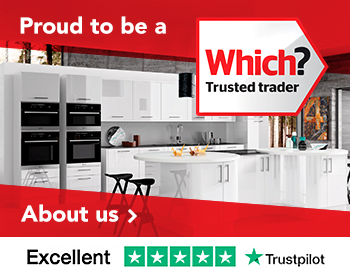 Trusted Trader, you can rest assured that you will be in safe hands when it comes to the design and installation of your new handleless kitchen. 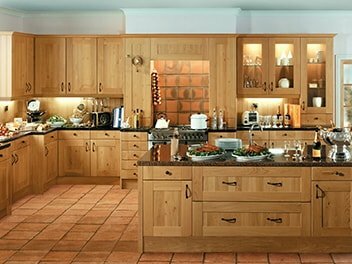 Direct Kitchens of Sheffield is a family-run business with customer service at the forefront of everything we do, and we strive to ensure the whole process is as smooth as possible. We offer a full project management service and will take care of everything from the initial plan and design to the installation and aftercare of your handleless kitchen. Plus, every project we carry out comes with a ten-year guarantee, meaning our experienced after sales team are always on hand to offer advice and ensure you’re 100% happy with your kitchen. 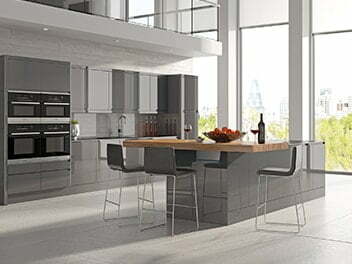 For more information on our handleless kitchens, please visit our Sheffield showroom or give us a call on 0114 240 0158. You can also request a free quote here and a member of the team will get back to you as soon as possible. 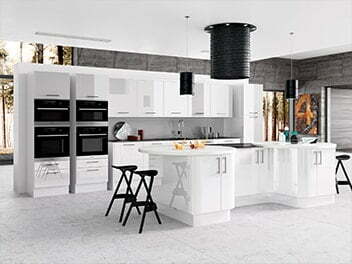 If a Handleless Kitchen isn’t quite right for you, be sure to take a look at our additional ranges, including, Designer Kitchens, Modern Kitchens, Traditional Kitchens, Painted Kitchens and Gloss Kitchens.